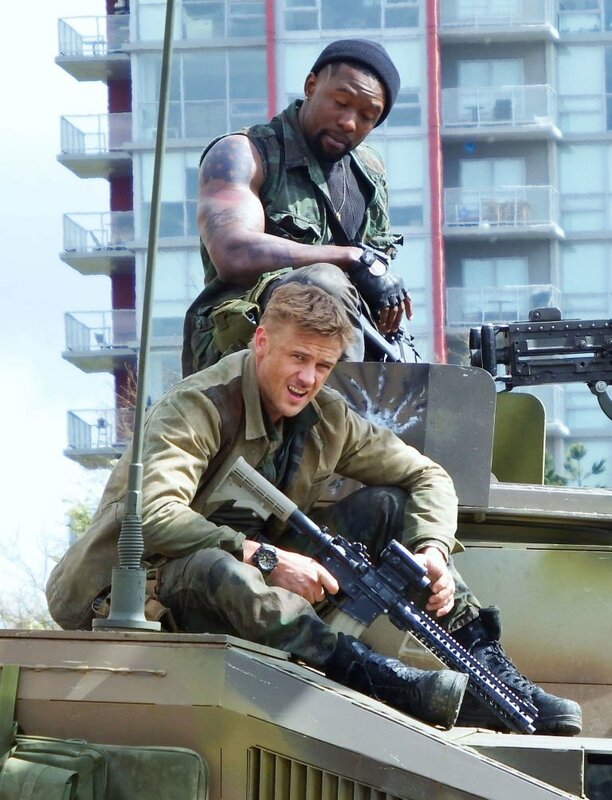 Confirming early story tidbits to be true, photographer Jarrod Au has shared a new image from the set of Shane Black’s The Predator, which features not one, but two Predators in the most unusual of places. Kitted out in full combat gear, down below you’ll see that both aliens appear to be part of a small military squadron. 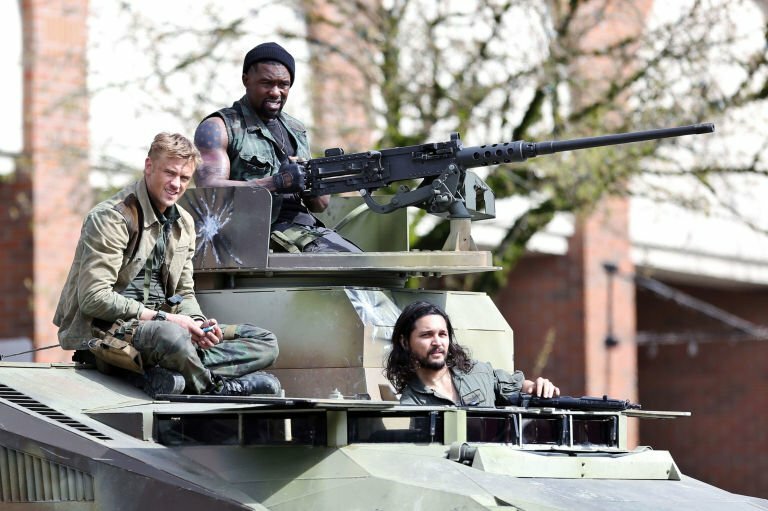 One Predator, for instance, is riding shotgun in an armored personnel carrier, while the other flips the peace sign from atop said APC tank. 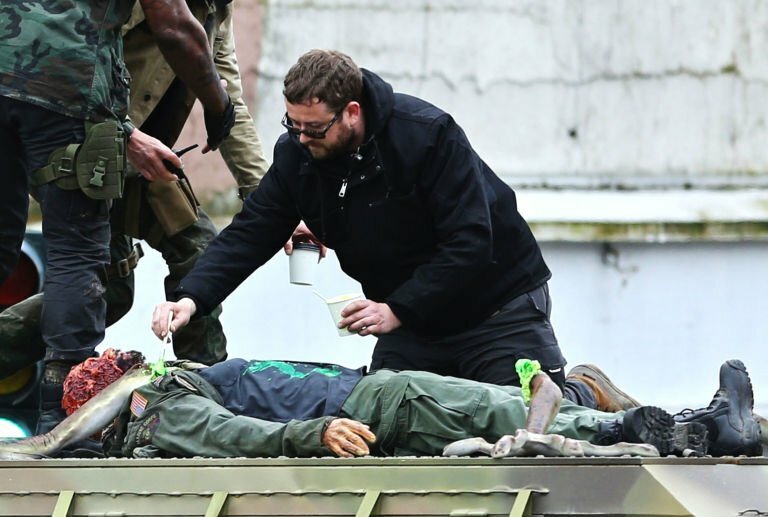 It’s impossible to know the full context of the scene based on this photo alone, but if nothing else, Au’s snap serves as a pointed reminder that Shane Black and the VFX team at 20th Century Fox will be employing practical effects wherever possible when it comes to bringing The Predator to life. 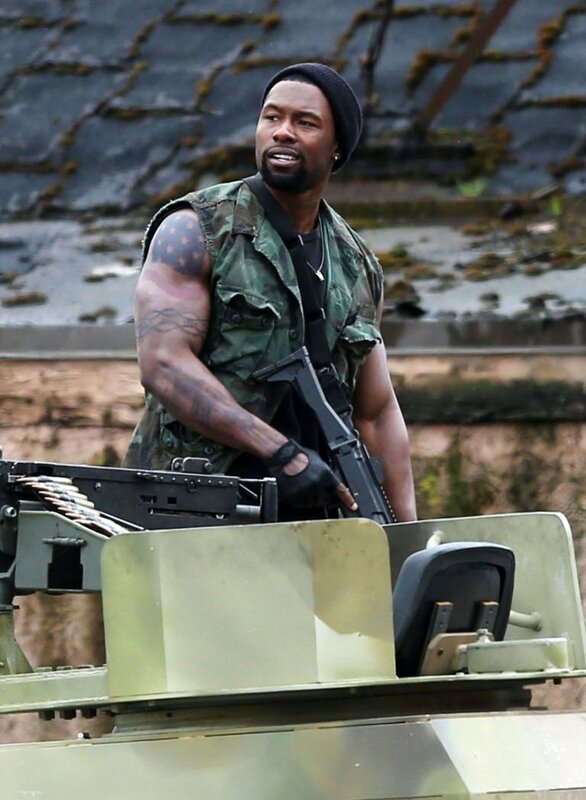 Among those human cast members to feature in Jarrod Au’s set pic are Trevante Rhodes, Keegan-Michael Key, and Thomas Jane, but the real question is whether the soldiers of Shane Black’s R-rated reboot will form some semblance of an uneasy alliance with the extra-terrestrials come 2018. 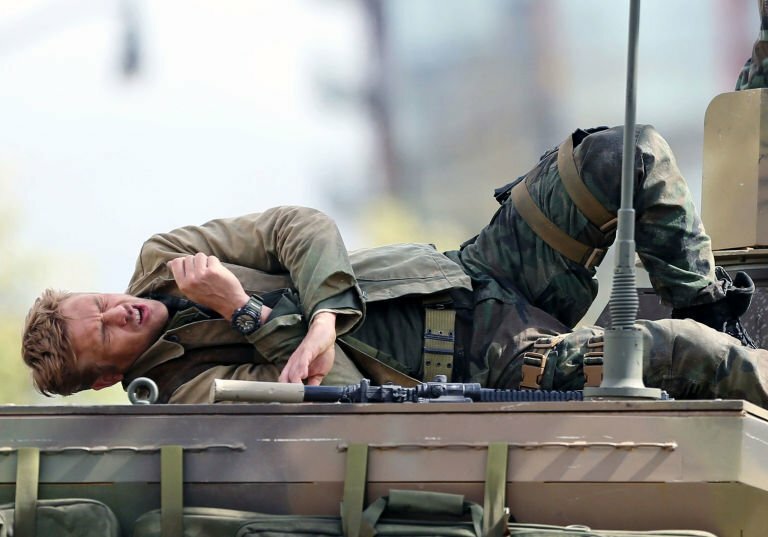 Remember, 2010’s botched reimagining pitted two groups of Predators against one another, so there’s every chance Black and co-writer Fred Dekker have incorporated a similarly intense civil war into next year’s sci-fi horror pic. Also on board for the 2018 tentpole are Logan‘s Boyd Holbrook, Olivia Munn, the so-hot-right-now Jacob Tremblay, Yvonne Strahovski, Game of Thrones star Alfie Allen, Sterling K. Brown and Edward James Olmos, who recently signed on to appear in FX spinoff series Mayans MC. The Predator, meanwhile, is all set to light up theaters both standard and IMAX on February 9th, 2018.